Leaving, on a jet *train*? In the 1960s, American rail companies were falling behind developments overseas, such as the famous Japanese Shinkansen. So how did they attempt to experiment with new high speed rail? 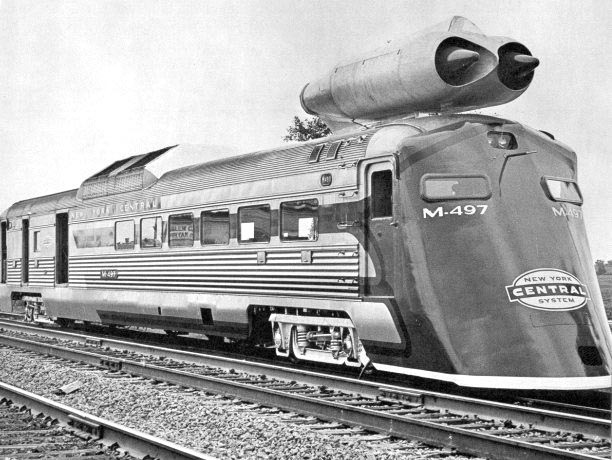 They took a diesel car, gave it a more streamlined nose, and stuck two military surplus jet engines on top.